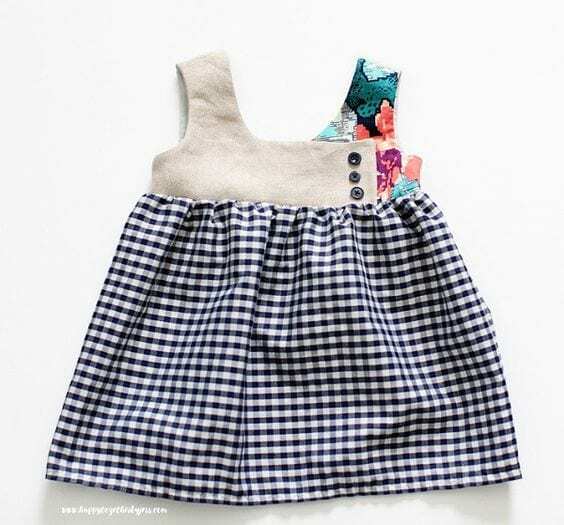 August may be over but this adorable dress for girls pattern is totally worth making this fall too! The cross over bodice is extra cute when made from different fabrics and with a mix of buttons. Before stressing about sewing buttonholes, the buttons are nonfunctional so nothing to worry about. The free pattern comes in little girl sizes 2-9.